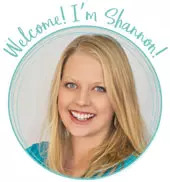 by Shannon Clark in Pay Off Debt | 1 comment | Contains affiliate links. 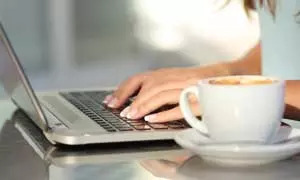 Getting out of debt stories of real people to inspire and motivate your own debt free success story, with tips and strategies to jumpstart your debt payoff plan. At first, I was skeptical. Could we become debt free? And if so, how long was it going to take to get there? I searched for stories of other families who were successfully living debt free. However, most of the getting out of debt stories I found at that time didn’t offer a lot of details, or they seemed too far out of reach. Of course, two married doctors with no children can pay off a huge amount of debt in a year. My family of four living on one low income, not so much. What about normal, everyday people like me? To that end, I’ve collected some of my favorite real-life stories of people who got out of debt. These are families living on one income, stay at home moms, homeschooling families, and single moms. They’ve faced car trouble and medical bills. Some are caring for new babies, have low incomes, or big families. They have overcome big challenges to be able to shout “We are debt free!”, but they did it! All together, they’ve paid off an amazing average of $26,898 in just 12 months. I hope these stories of ordinary people, paying off debt way faster than they ever imagined will inspire you to start or continue on your own journey toward paying off debt fast! This post contains affiliate links to some of the books and resources these families found helpful in becoming debt free. 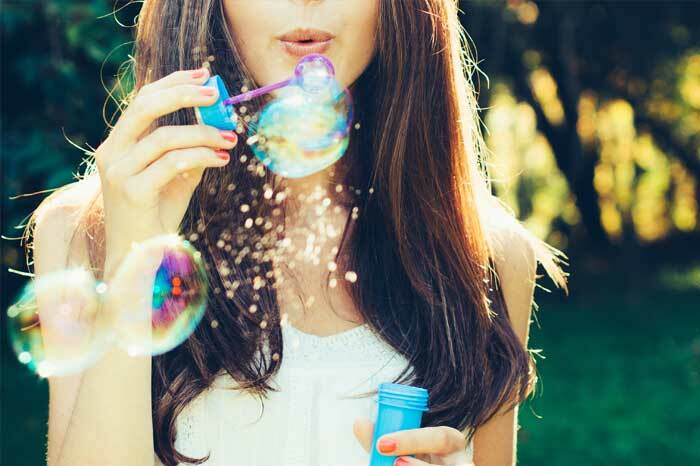 Want that floating-on-air-feeling of being debt free? Let these debt payoff stories inspire you. GrowingSlower reader, Mel decided it was time to buckle down and pay off her $25,000 in car and student loans, but her household had recently gone from two working adults to a family of three living on one income. While working on their debt, they did run into car trouble, but they used their emergency fund. Then they built it back up and persevered at paying off their loans. Getting out of debt was a challenge, but Mel wants others to know that you can do it! The feeling of freedom, new opportunities, and big dreams that will open up to you is so amazing! Her only wish is that she had cut the cord years earlier, so they could have used the momentum from becoming debt free to save and invest even more. Debbie was a single mom who owed over $30,000. This would have been hard enough, but she was earning just $40,000 a year when she started her debt pay off. I’m sure it seemed like it was going to take forever! Her final breakthrough came when she changed jobs to one that was within walking distance of her home, so she saved on her commute and it paid more too. When she wrote that final loan payment check just 23 months later, she couldn’t wait to tell everyone she knew she was debt free. She also tells them that they can do it too and recommends the book Total Money Makeover to get started on their own success story. Read Debbie’s full story on DaveRamsey.com. GrowingSlower reader, Jessica, and her husband had student loans, credit cards, house repairs, and a second mortgage. Oh, and she’s a homeschooling, stay at home mom of five little ones! They learned about Dave Ramsey’s method of paying off debt and immediately saved up $1000 in their emergency fund. Next, the arrival of their third baby required an upgrade to a mini-van, and although they paid cash, it slowed down their debt payoff. A few more twists and turns, and 6 1/2 years later, they were debt free except their mortgage, which they’re now working on paying off, too. I love Jessica’s paying off debt success story because of how hard she and her family fought to reach their goal. Things certainly weren’t easy, but they kept at it everytime they hit a setback, and now they are debt free! Despite having a healthy income, when Angela “faced the beast”, she finally opened her eyes to exactly how much she and her husband owed. Staring at this huge number, over $58,000 in student loan, credit card, and car loan debt (including a loan on a car they no longer even owned), she was terrified. The reality was even worse than she thought. As she did a six-month detailed spending analysis, she started to take responsibility for her overspending and feelings of entitlement. She also realized that even small 2 to 5-dollar purchases really added up. They then set a realistic budget and tracked spending continually throughout the month. They use the cash envelope system and follow Dave Ramsey’s Baby Steps. When this family of four was interviewed live on the Dave Ramsey Show in Nashville, all their hard work was worth it! See how she paid off the first $30,000 in 12 months at her video below, and watch their whole story on her YouTube channel. 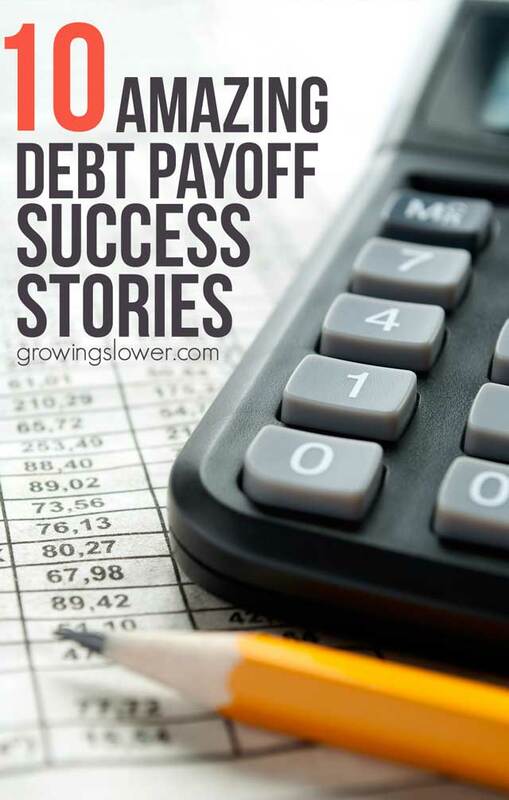 Another GrowingSlower reader shared her personal debt free story with me. Lisa owed $39,000 in credit card debt that was holding her back from traveling and doing the things she loved. She realized she had been making a “BIG MISTAKE!! !” by paying only the amount due on her bills each month. It was time to make a change. She started her debt payoff by rolling her debt into a home equity line of credit. Another simple trick from Suze Orman was to always use paper money to pay for things. Then you save up all the change you get back and use it toward your debt. After making that last payment, Lisa promised herself she’d never get into debt again.Thanks to her experience, she now has an emergency fund and has built up her savings. These two music teachers had jobs they loved, but they also had around $38,500 in debt while only eeking out a household income of $35,000 a year. Between their student loans, car loan, and credit card debt, to name a few, they looked pretty much like the typical American couple. 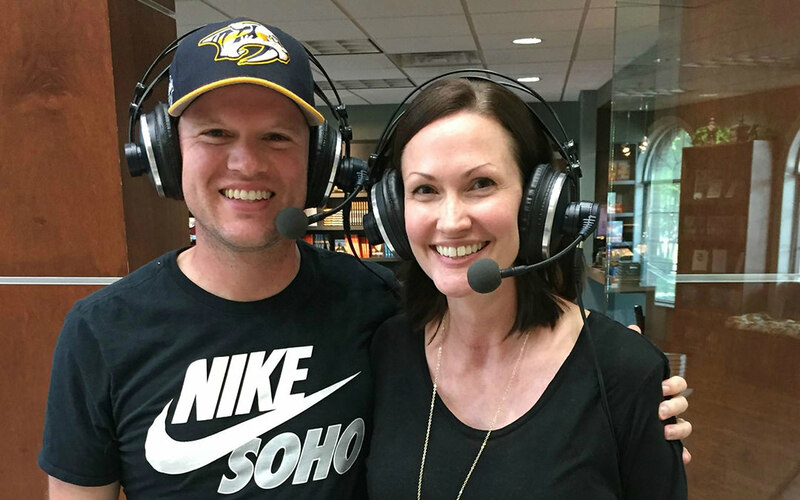 When they had $24,000 left to pay off, they started listening to Dave Ramsey’s Financial Peace University CDs. Things were about to change. Through it all, Emily and Mark didn’t let living on a small income stop them from achieving their big dream of being debt free. After all of their debt was history, their first baby was born into a debt-free family, and they continued to build up their emergency fund. 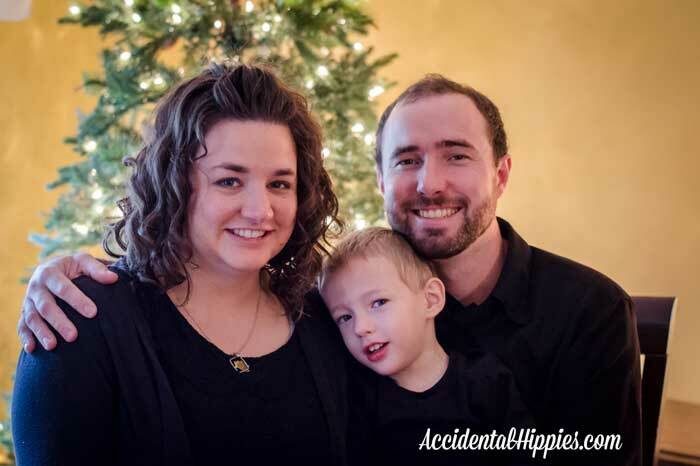 Read Emily’s full story at Accidental Hippies. Parents James and Aimee, like many American families were facing down a $136,000 mortgage. Justifying this debt would have been easy since it was what some consider “good debt”. After all, James started out earning only about $75,000 a year while Aimee stayed at home with their four little boys. Instead, after reading Smart Money Smart Kids, they decided to cut their original 7-year plan to pay off their house down to just four years. They were familiar with paying off debt. Soon after they were married James took on a second job at Home Depot, and they paid off $34,000 in student loans. Now they were ready to do it again! By the time they were just 31 and 32 years old, even while feeding a growing family on a tight budget, they were completely debt free including their house! So what could you do if you didn’t have to pay a mortgage anymore? Well, you could put your would-be mortgage payment into a mutual fund instead for 30 years and end up with around 5 million dollars that you can then use to reach big dreams, give generously, and leave a legacy of financial stability for your family. Watch James and Aimee’s whole story here. 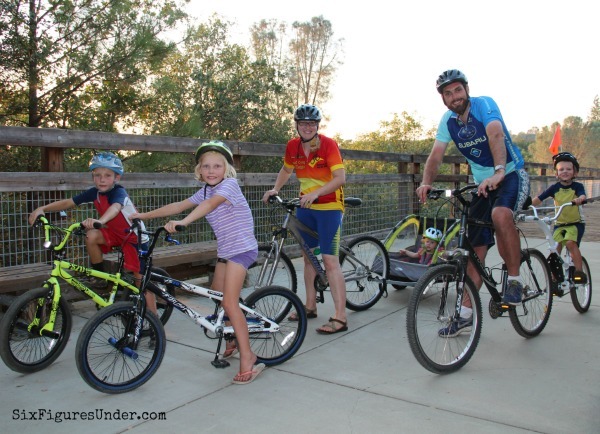 After paying off more than $144,000 in less than 3 years, Stephanie and her husband rewarded themselves with bikes for the whole family. Stephanie and her husband set a big goal to pay off their student loan debt in three years. He had recently graduated from law school and she’s a stay at home mom to four little ones. This in and of itself is a huge goal, but it’s even more amazing when you realize they were making only about $3,000 a month at the time. To get started they used most of their savings toward paying off their smallest loan. After cutting every cost they could by sticking to a tiny grocery budget, using cloth diapers, and much more, they then turned to saving money by living in her husband’s parents’ unfinished basement. Now that’s dedication! They also increased their income to turn their goal into reality. Her husband started a side business and Stephanie started a successful blog. After paying off their $144,064 in debt, they now are working toward saving up for their own house. Way to go guys! Read Stephanie’s amazing story here. After they made one wrong financial turn by taking out a loan on a car as a newly married couple, southerners Stacy and Barry promised themselves they would live debt free from there on out, including their house! Becoming completely debt free wouldn’t be easy considering Stacy was a stay at home mom and they were living on one income, but they were determined. For the last push, they had $20,000 left on their mortgage. Stacy also credits their success to doing a new budget every single month, so as to account for their current income and expenses. All told it took this amazing couple just 8 years to pay off their entire house! You can read Stacy and Barry’s full story on Family Balance Sheet. Chrysti and her husband worked hard and stayed focused to pay off over $130,000 in medical and student loan debt. They celebrated in the best way possible with a ‘debt free scream’ on the Dave Ramsey show. Now, she’s able to be a stay at home mom to their three kids. Read Chrysti’s debt success story here. Of course, I couldn’t leave out my own getting out of debt story. I learned about debt free living thanks to Stacy and Barry sharing their own debt free story I mentioned above. At the time, though, I didn’t believe there was any possible way my husband and I could pay off our student loans living as we were on one low income with two very young children to raise. Eventually, I read Dave Ramsey’s Total Money Makeover and realized we could and should get serious about paying off our debt. Still, it seemed daunting! The debt snowball method was key to keeping us motivated and helping us pay off our debt faster. Just 9 months later, we made our last student loan payment. It’s been a couple of years since then, but what we learned permanently changed our financial future. Read my family’s story of how we became debt free here. I may have been a skeptic at the start, but I’m now one of those people who can’t wait to chat about my favorite budgeting apps, debt snowballs, and all things Dave Ramsey. I’m a huge believer that debt free living is a realistic goal for most families, and I hope these amazing stories have convinced you of the same. Get started now! If you’re ready to jump into your own debt free story, check out my post on how to get out of debt fast, even on a low income. Love reading stories like these! Great post!